We would like to take this opportunity to thank you for your business over the last year. 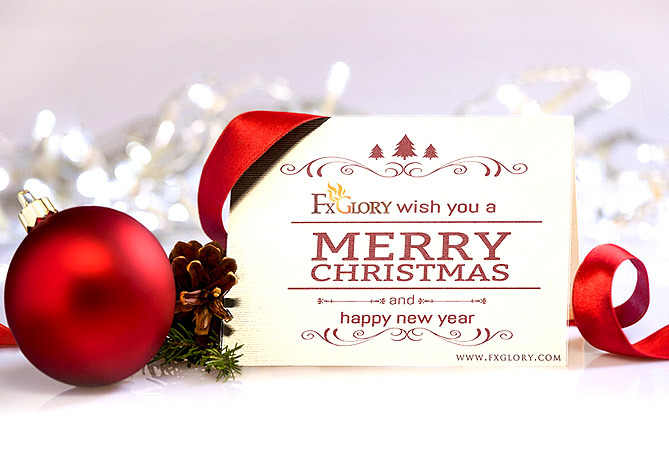 2016 has been a year of growth and change for FXGlory as we endeavor to bring you the best trading conditions and client experience possible. We wish for an enjoyable holiday season and a prosperous 2017 for you and your family. As you may know, the holiday season is upon us with Christmas and New Year just around the corner. Therefore, there will be changes in the trading hours between 26th December 2016 to Monday, 2nd January 2017. Accounting department and client support will not work on holidays. Remember that 6 hours before the market closes, margin requirements will be calculated based on a maximum leverage of 1:200. According to the current balance in your account or to the specified amount of leverage, we recalculate the margin requirements within 3 hours after the market opens. This concerns both existing and newly opened positions. So please take this into consideration while choosing your trading strategy during this period. Wishing you peace and good luck in trades throughout the Year!